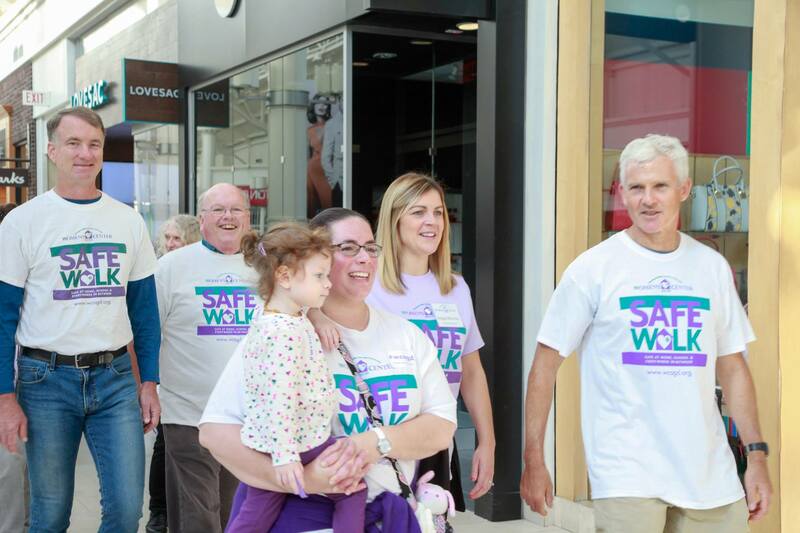 Led by Attorney Abigail Miranda, a Women’s Center of Greater Danbury board member, Cramer & Anderson is both sponsoring and participating in the Center’s 11th annual SafeWalk at the Danbury Fair Mall Sept. 30. The tagline of this year’s SafeWalk is Safe at Home, School and Everywhere in Between. Foreground, Cramer & Anderson Attorneys Lisa Rivas, left, Abigail Miranda, and John Tower participating in last year’s SafeWalk at the Danbury Fair Mall. 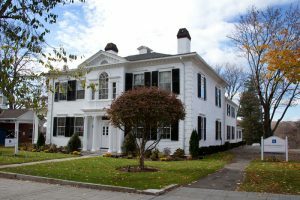 In its quest to end violence against women, men and children, and to foster equality and empowerment for all, the Women’s Center provides individuals, families and the community with prevention, crisis intervention and support services with regard to domestic violence, sexual assault and other major life crises. The services, which are confidential and free, include hotlines that are staffed 24-hours a day, 7-days a week, 365-days a year. SafeWalk involves teams and individuals supported by sponsors who make donations to the Women’s Center based on the distance covered during the marathon stroll through the mall. In 2017, the event featured more than 1,000 participants and raised nearly $70,000. This year, Cramer & Anderson has sponsored a five-person team of walkers, including Attorney Miranda, Attorney Lisa Rivas, who focuses on Immigration Law, and paralegals Sonia Christie, Jessica Cavalier, and Kelly Simpson. “One thing that impresses me about SafeWalk is the level of support from Ridgefield in particular,” Attorney Miranda added, while issuing a call for communities north of Danbury to become more involved. The 13-town service area of the Women’s Center stretches from Ridgefield, Redding, Danbury, New Fairfield, Newtown, Bethel and Brookfield to Bridgewater, Roxbury, Washington, New Milford, Sherman and Kent. According to a story in The Ridgefield Press, the co-chairs of this year’s SafeWalk are Ridgefield residents Chip Salvestrini and Kathy Graham, and MaryBeth Prunty of Danbury, who works at Fairfield County Bank in Ridgefield. The honorary chair is Alex Fischetti of Ridgefield, who has been the top fundraiser for several years, and there are many Ridgefield teams of walkers in this year’s event, as well as a long list of Ridgefield sponsors joining Cramer & Anderson in supporting SafeWalk. There’s still time to join in SafeWalk as a sponsor or by participating. To learn about sponsorship opportunities, contact Samantha Flynn, Director of Development at the Women’s Center, at (203) 731-5200, ext. 237. Registration opens at 8:30 a.m. Sept. 30 at the Danbury Fair Mall. Those wishing to participate may register, form a team and start fundraising online.